btechcorp has invented and patented a revolutionary process for aligning fine (3-15µ diameter) continuous fibers through the thickness (Z-axis) of a polymer matrix. 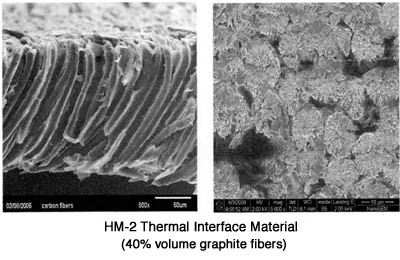 Up to 20 million fibers per square inch (3 million fibers per square centimeter). 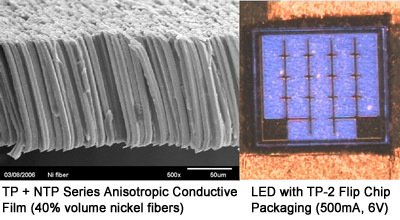 Using continuous fibers instead of tiny conductive filler particles eliminates internal interface resistances, thus creating adhesive and interface films with unprecedented Z-axis electrical and thermal conductivity. HM-2 TIM has the lowest bonded joint thermal resistance of any conductive polymer adhesive for bond lines > 50µ thick and with instant cure. The very low modulus thermoplastic matrix makes it especially suited for large area bonds with high CTE mismatch. Current applications include power electronics, large die attach, heat sinks and thermal test equipment for production die. The TP and NTP Series ACF offer 3 different instant bonding temperatures at very low bonding pressure for various application needs. 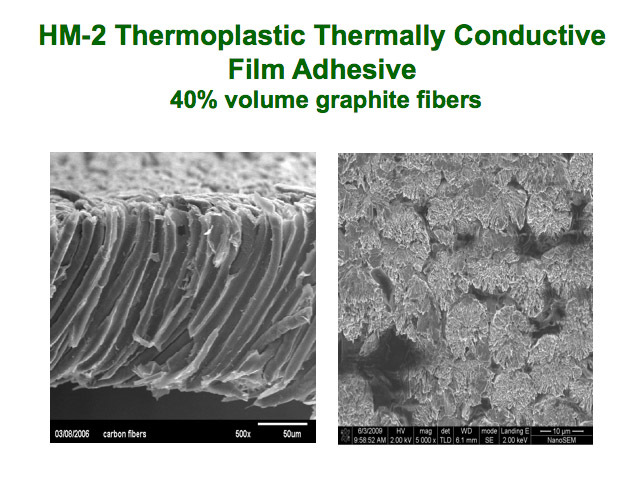 The thermoplastic matrixes bond to all electronic materials and are easily reworked with common solvents. 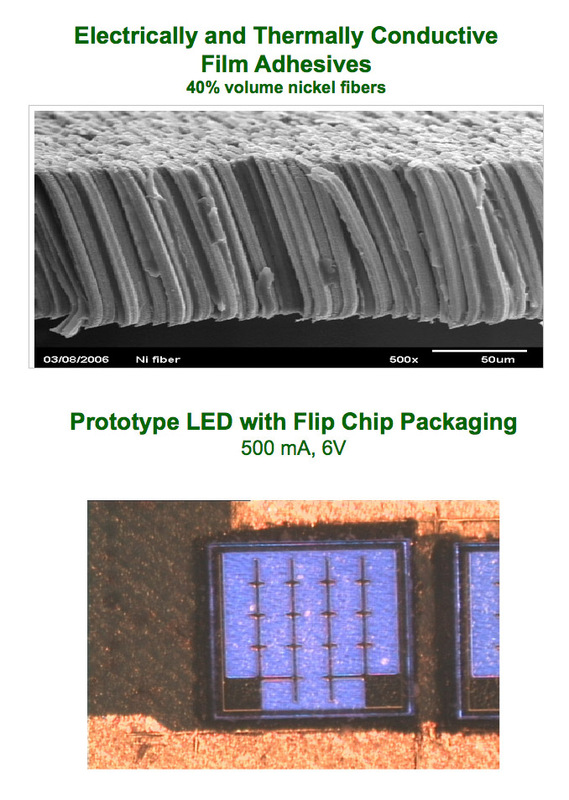 Current applications include flip chip packaging, fine pitch displays and large area solder replacement. Overview of technology, products and applications.